Led by Dr Eugenia Siapera, the Hate Track project investigated online racist hate speech and developed a computational tool to track such contents on public Facebook pages and Twitter accounts. This FuJo project was carried out in DCU by Dr Eugenia Siapera and Elena Moreo. 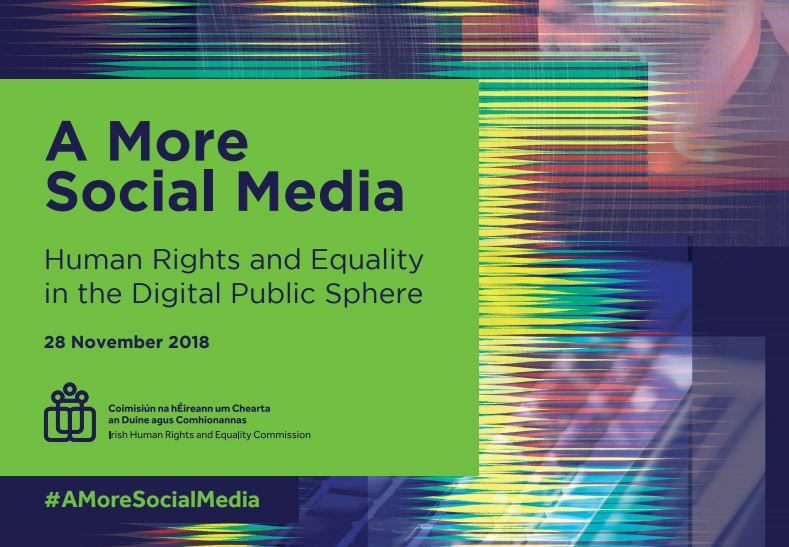 To launch the final report, the Irish Human Rights and Equality Commission is hosting A More Social Media on November 28th in the Science Gallery. This event is for individuals or organisations working in the technology sector, in public policy, and for civil society organisations, legal practitioners and academics working on the issues of racism, interculturalism and digital rights. Social media facilitates the rapid spread of ideas online, and hate speech is no exception. Protecting human rights and equality in the digital arena is an increasingly urgent challenge for our society and democracy. The potential for intolerance online to shape politics and public debate offline is becoming one of the hallmarks of the digital age. The Irish Human Rights and Equality Commission, as Ireland’s national human rights and equality body, is bringing together international experts and commentators from the worlds of law, media, academia and the tech sector to understand the nature of online hate speech, and how to tackle it. Chara Bakalis, Principal Lecturer in Law at the School of Law, Oxford Brookes University. To RSVP, please emai rsvp@ihrec.ie with the subject ‘A More Social Media’.